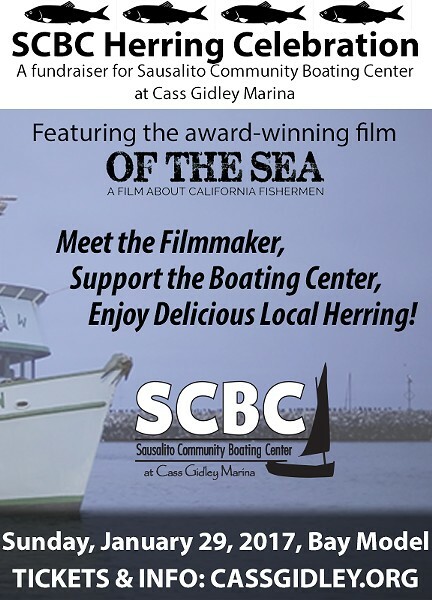 The Sausalito Community Boating Center’s long-running Herring Celebration is switching things up this year with a film-centric event for 2017, while still offering delicious herring dishes from local restaurants. The award-winning film Of the Sea gets two screenings and features a talk with the local filmmakers behind it. A look at seafood and ocean sustainability, Of the Sea dives into the challenging and complex life on the waters and features several California fishermen. For the herring enthusiast, Osteria Divino, Restaurant Angelino and others present dishes and Fort Point Beer Company and Dry Creek Vineyards pour libations. Get your Herring on Sunday, Jan. 29, at Bay Model Visitor Center, 2100 Bridgeway, Sausalito. 11am. $40. cassgidley.org.